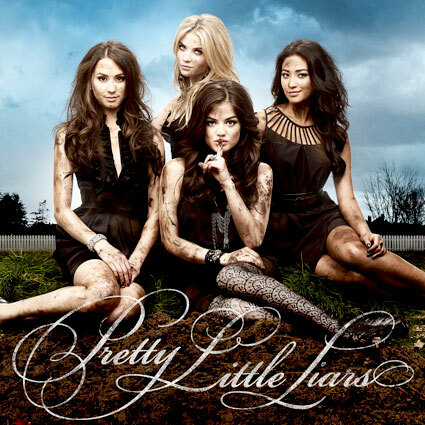 There are many different ways that surveillance is used in ABC Family’s hit television show Pretty Little Liars. This series allows you to follow the lives of four of Rosewood’s (the town in the show) most watched teenage girls. The whole town has their eyes on these girls after their best friend Alison DiLaurentis goes missing and is found dead a year later. After Alison’s funeral, these four girls (Aria Montgomery, Hanna Marin, Spencer Hastings, and Emily Fields) begin to receive text from an anonymous sender who signs each text –A. The show has been on for four seasons now and like any good show it has thriller moments, tear jerkers, and downright shocking episodes. Somehow, in the show, “-A” always know every little detail of these girls lives and constantly uses this information against them. This information ranges from Aria’s love affair with her English teacher to Emily’s “closeted” feelings to Hanna’s mom stealing money from the bank she works at. If you watch closely enough, there are scenes in the episodes where you can see someone/something watching the girls at all times. As the show progresses you start to realize that there is no way one person is doing all of the surveilling. The way the writers incorporate the numerous types of surveillance into this teenage drama is impeccable. Who is “-A”? How does “-A” know that? These are the questions that keep viewers watching, and these are the questions that the media knows won’t be answered until the last episode of the series. In my research proposal, I have four primary resources listed. I am researching the hit TV series Pretty Little Liars, so of course my first primary source is the show itself. This show goes through the lives of four teenage girls who are being stalked and harassed. Why does the show as a primary source relate to my topic? There is really only one answer to that, and that is because the show IS the topic. Without the show there would be no research or even a topic to go off of. Two of the other primary resources I have are websites for the show. I see these sites as being primary sources because they delve into the technicalities of the show and into the lives of the characters. The sites aren’t like Wikipedia where anyone can go in and change the information. They are legit sites with blogs, by the same critic/journalist or by people who work for ABC Family, or videos about the show. These sites give a truthful and biased opinion of the show, but they are also extremely helpful with research. Since these sites are indeed biased, I also added another source to my list, and that was a survey that I got from teenagers. I see this as being a primary source because the whole point of my research is to see if the show changes how teenagers act. By doing a survey I can analyze the data I find to help further my research and help add new information to what is already out there. This survey consisted of questions such as “Do you watch Pretty Little Liars?”, “Have you ever noticed the different types of surveillance in the show?”, “How old are you?”, “Are you male or female?”, and etc. This survey will help me answer my research question in a huge way. The questions in the survey will show me whether or not teenagers are actually affected by the surveillance techniques used in the show. When I first started my research I thought my target audience would be the teenagers that watch Pretty Little Liars. As I went deeper into my research though, I realized that the more appropriate audience for my research would be the parents of teenage girls and the teenage girls. I say this because my research will open the eyes of parents who have teenage daughters and show them signs that their daughters are being stalked or watched. Also, the teenagers reading my research may be able to better self-police themselves by being more aware of their surroundings. Being an eighteen year old female, I feel that I will be able to relate to the topic in a way that critics or writers can’t.